When people think of monochrome interiors, they usually think of all black, grey or white decor. It’s not wrong, it’s just not all inclusive. Monochrome basically means ‘one color’. So, as long as an interior is made up of one color or various shades of that color, it’s monochromatic. It can be blue, pink, yellow, grey or any other color so long as it’s just that color. 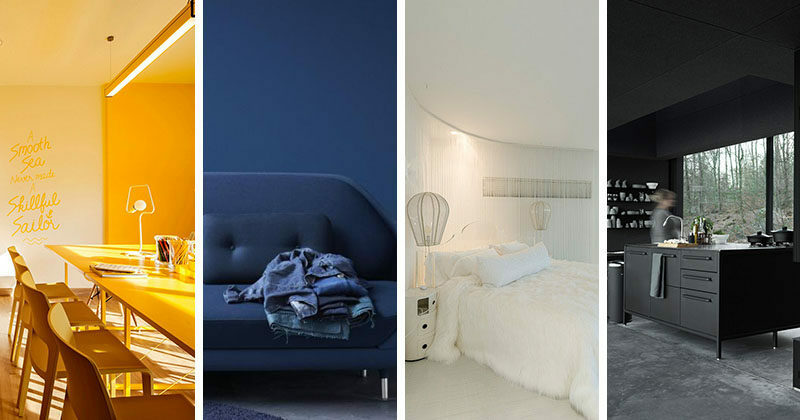 Here are 10 monochromatic examples of the different ways interiors can be decorated along the color spectrum. 1. Meetings are made much more cheerful in this yellow office. Designed by Apostrophy’s. Photo by Ketsiree Wongwan. 2. This all white bedroom is whimsical, with a hanging chair, hot-air balloon-shaped lamps, and curtained walls. 3. 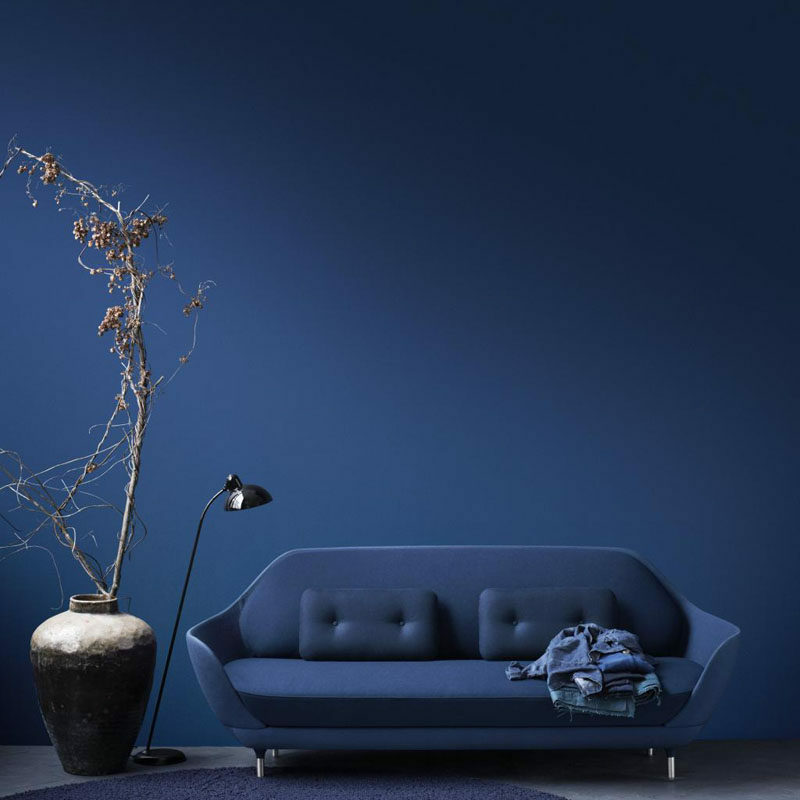 This deep blue wall matches the sofa, blanket and rug. Favn Sofa by Jaime Hayón for Fritz Hansen. 4. 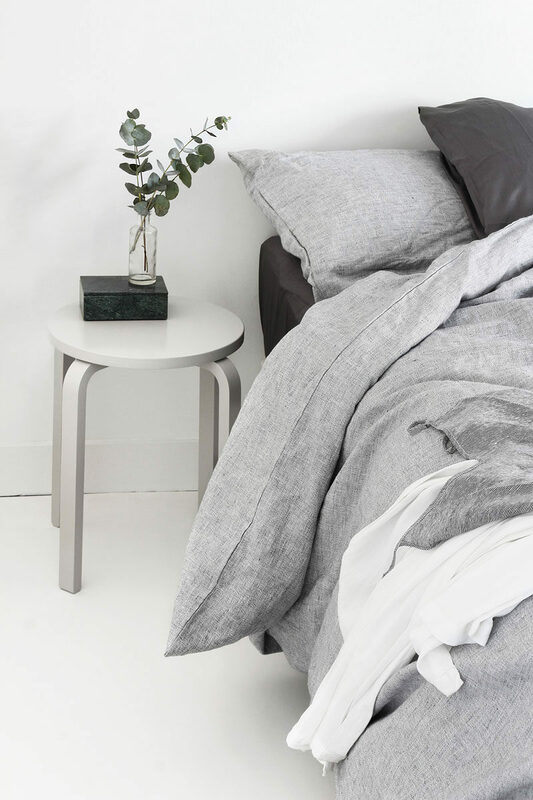 Wake up completely refreshed in a bedroom full of gray tones. Design and photography by My Dubio. 5. This all pink sauna at the Atomic Spa Suisse in Milan. Designed by Simone Micheli. Photography by Juergen Eheim. 6. The Wanderlust hotel in Singapore has a series of rooms inspired by Pantone colors, like this purple hotel suite. Photography via The Wanderlust Hotel. 7. 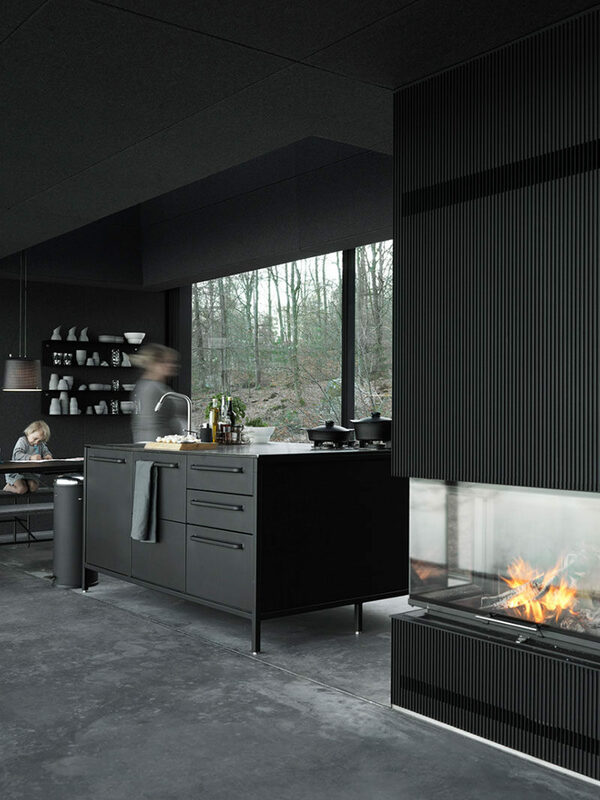 The Vipp Shelter has a completely black interior including the kitchen. 8. 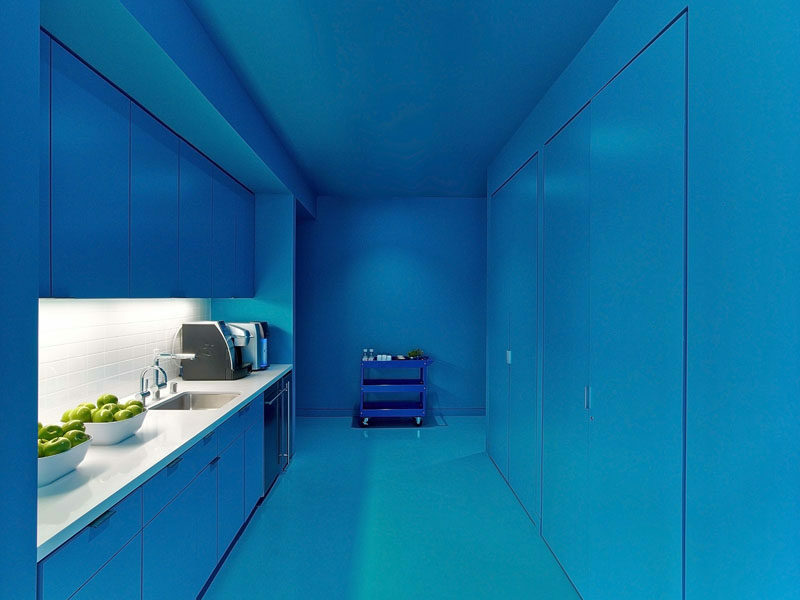 This kitchen in an L.A office is definitely blue (with a touch of white). 9. 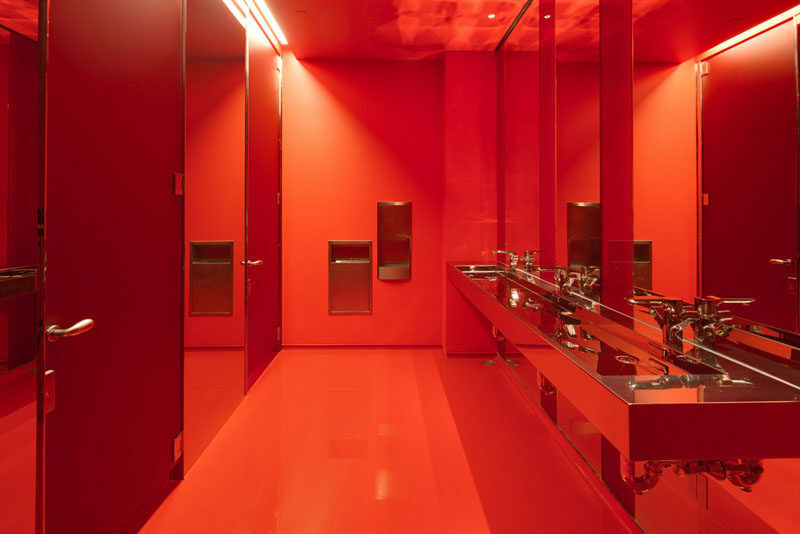 In keeping with their name, Red Bull’s bathroom in their New York Music school is bright red. Designed by INABA Architects. Photography by Greg Irikura. 10. 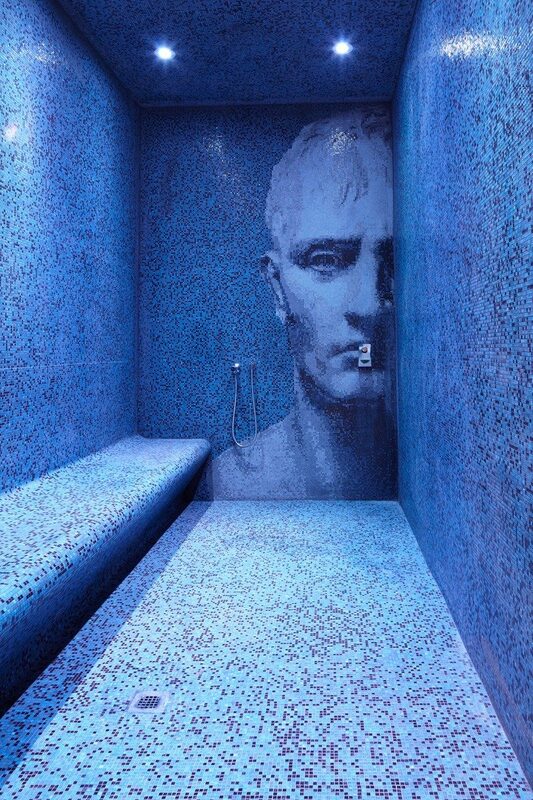 This blue bathroom has a mural made from shades of blue tiles. Designed by Prototype Design Lab.